Peep-toe pampering: You forever deserve royal treatment. 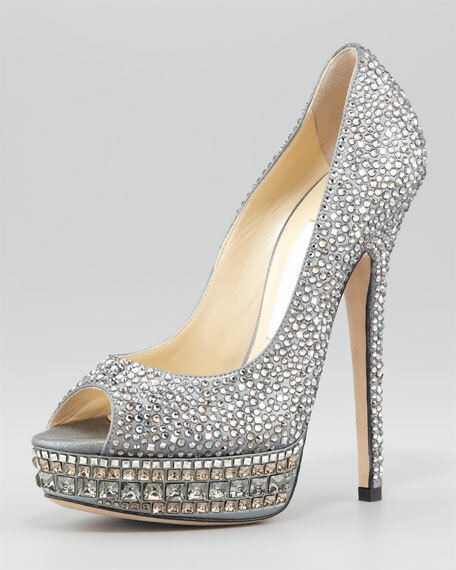 Treat yourself to the jewel-saturated Jimmy Choo Kendall pump simply because your worth is undeniable. Allover crystal embellishments atop metallic leather upper. 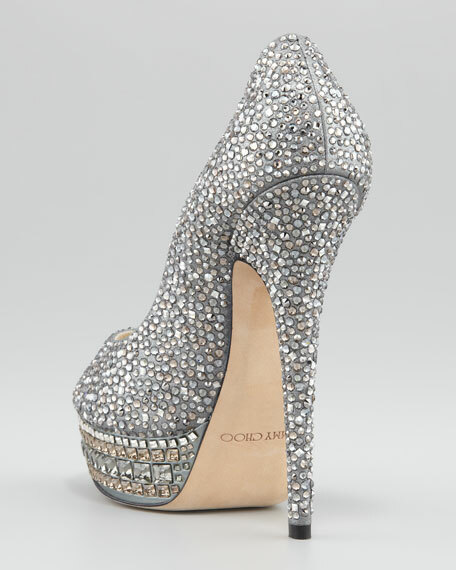 5 3/4" crystal-covered stellar heel; 1 1/4" platform; 4 1/2" equiv. "Kendall" is made in Italy.